I love healthy food and I love prepping it myself. Now, imagine the disappointment when my Bosch Redition blender stopped working. Just died, and it’s not like I threw iPhones in it like that Will It Blend guy. The thing is, anything can break and most of the times it does we think we did nothing wrong. When that happens, what we can do is either throw it away, like I did with my blender, start from scratch, like I did so many times while trying to install pirated copy of Windows XP or ask for help. Asking for help can range from asking a friend about blue screen of death to filing a support, or even money-back request. WordPress and all free themes and plugins hosted at WordPress.org are open-source, meaning anyone can see their source code. So, if your site is running a very popular theme which has some issues with latest WordPress release, finding a fix can be a Google search away because lots of people will have that same problem and many of them will share how they fixed it. How: What Caused the Issue? As I already mentioned, it was never us who caused the things to break. But with software, WordPress specifically, unless the server died the problem is usually at least initiated by a human being. That doesn’t mean the person did something wrong. Simply using a plugin and theme that are not compatible can kill your website. Note that if both are coded with WordPress best practices in mind it is VERY difficult for a theme and a plugin to be incompatible. So, when calling that friend you have who’s good with computers or filing a support ticket it’s important to know which action caused the problem. “I am using this plugin with this theme and this happens every time I try to do this” is infinity plus one times better than “HELP! MY SITE IS BROKEN!” or “Doesn’t work, I want my money back”. You don’t go to a Dacia repair shop to fix your Lamborghini, do you? One of the most common responses by WordPress.org forum volunteers is “this is a self-hosted WordPress support forum, to get help with WordPress.com hosted sites head over to http://forums.wordpress.com/”. Another one has to do with asking for support for commercial themes and plugins at a support forum for free, GPL products. Think about it, why would volunteers give away their time so someone else can make more money? This is WordPress, not the Olympics. When you have trouble with a WordPress theme or plugin, asking for help where developers expect you to do it will affect how long you’ll have to wait. If you just purchased Fanciest Author Box and struggle setting it up, you could send us a Facebook message that might end up in that dreadful “Other” tab no one ever checks, or you could do what the item description says: post a question in the CodeCanyon comments section or use contact form on our CodeCanyon profile page. There’s a good reason why we put public comments section first, email second and it’s not so every time we get a “Great support, great plugin” comment everyone can see it. Hopefully, making solutions to any problem our users have had public will result in less support requests over time and help at least some of our users figure things out on their own, without having to wait for us to respond. When: Have You Tried Turning it OFF and ON Again? 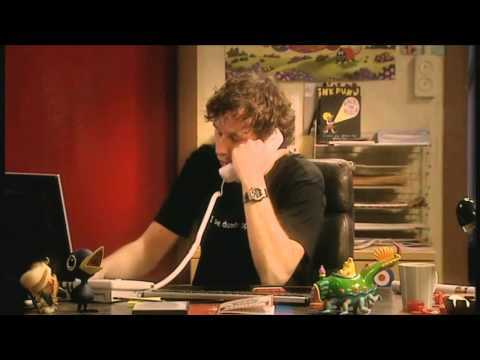 IT Crowd – Have You Tried Turning It Off And On Again? I’m not saying you have to roll up your sleeves and try fixing the problem yourself before contacting support, but at least glancing the documentation is a must. You’d be surprised to see how many problems you can solve yourself. And I’m not saying that hoping to completely eliminate support requests altogether, but by fixing it yourself you avoid waiting for problem to be fixed. There you go, and I assure you that knowing what caused the problem, where to ask for help and finding out if you can fix it yourself can save you some precious time. Very true about doing some simple things with WordPress first. When my blog goes wrong I first deactivate all the plugins. This simple step has solved many problems over the years. Then activate plugins one by one to pin-point what plugin is causing the problem. After that look at your caching or CDN. If still facing problems then search for help on the WordPress.org forum or theme specific forum. I use Thesis Theme and their forum offers great technical support. Deactivating all the plugins fixes huge majority of common problems. A very similar thing to do is to switch to default theme temporarily, to see if the problem persists. By using only those two techniques anyone can figure out what exactly causes the problem (theme or which plugin) with 99% certainty. And that makes debugging it so much easier.